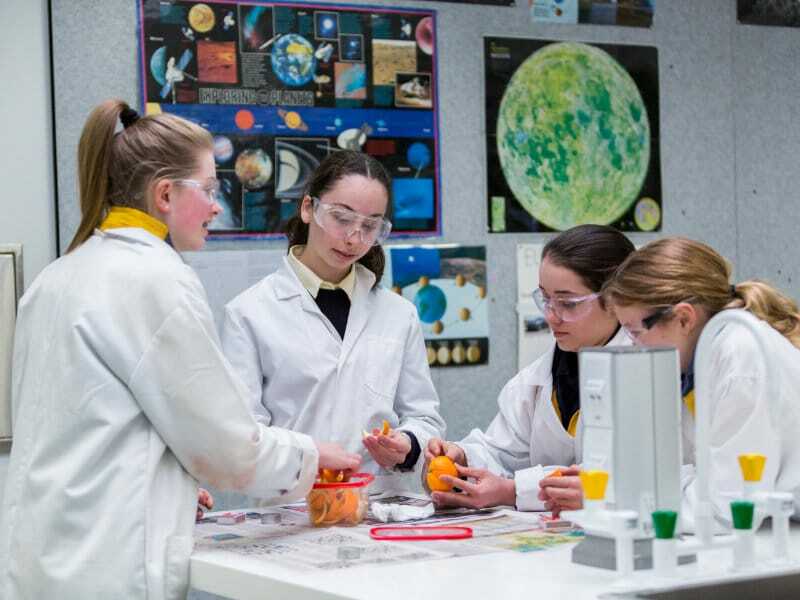 Years 7 and 8 are a time for your daughter to expand her horizons and embrace new and exciting challenges. The Strathcona Middle School is the perfect supportive and inspiring backdrop for our students to begin to discover and grow into their future selves. 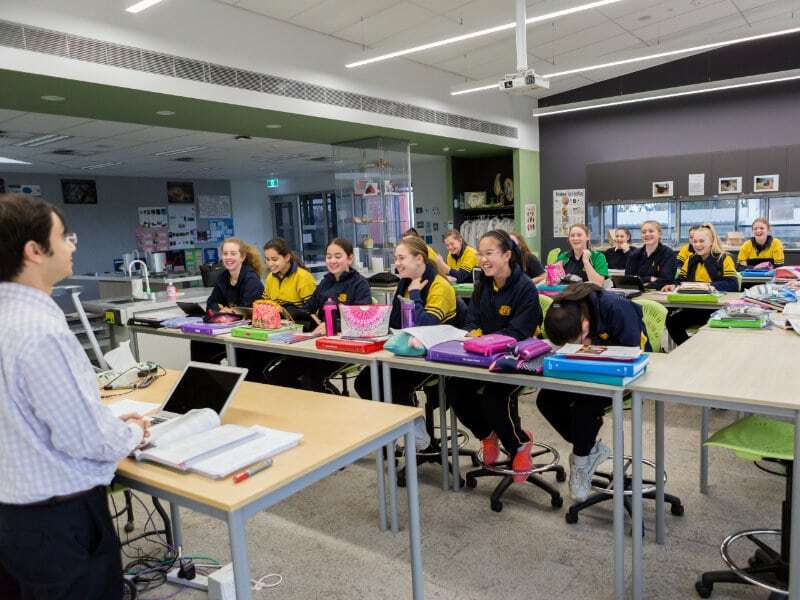 Based in our dedicated Middle School Centre in the Contemporary Learning Centre, Year 7 and 8 students are offered a broad range of challenging and rich learning opportunities across our academic, pastoral care and co-curricular programs. 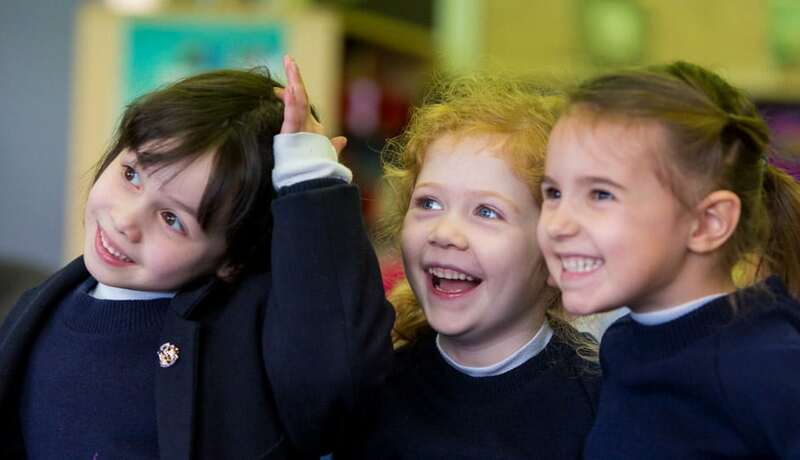 Our students develop positive attitudes, resilience and a strong sense of self, laying the foundations for future success. The requirements for success in the 21st Century are broader than reading, writing and arithmetic. In a report by the World Economic Forum called ‘The Future of Jobs’, the most highly ranked skills for employability in 2020 included Complex Problem Solving, Critical Thinking, Creativity, People Management and Coordinating with Others*. This fits in well with the first guiding principle of our Strategic Vision, which is to be courageous and creative in thinking, learning and research. We want all people in the Strathcona community to consider themselves life-long learners who continuously seek to understand, innovate and improve. Evolving from our SEED program which has run in previous years, #coLAB is an important part of this vision. This week-long intensive program allows students to reach beyond the constraints of the curriculum and produce rich problems that can have an impact beyond the classroom, to build deeper knowledge and skills that are vital in the new world of work. In #coLAB, students work collaboratively through the design process to develop solutions to open-ended, real world problems. Digital Technologies are an important part of these solutions, as students apply their understandings and helping them achieve Levels 7 & 8 of the Digital Technologies Victorian Curriculum. The transition to Middle School involves increased specialisation in select subject areas with expert guidance from specialist teachers. However, rarely in life are skills and knowledge neatly packaged into single fields, so our curriculum ensures students learn many skills that are transferable to other areas of learning and life. Our Middle School teachers work to ensure students develop a positive self-image while discovering their unique learning profiles and who they are as individuals. Because students learn best when programs cater for their individual needs and talents, our Middle School curriculum offers a diverse range of subjects, encouraging students to try new things and explore. Each subject encourages students to think critically and creatively, develop global awareness and work cooperatively, establishing the skills needed for lifelong learning. The opportunity for students to specialise in particular areas is offered towards the end of the Middle School program. This ensures every student benefits from the broad curriculum before they choose to study individual elective units. Click here to download the Years 7-9 Curriculum Handbook. Under the guidance of their Form Tutor, students are encouraged to try out new activities in the extensive co-curricular offerings. This personal attention is part of the wider pastoral care network at Strathcona.